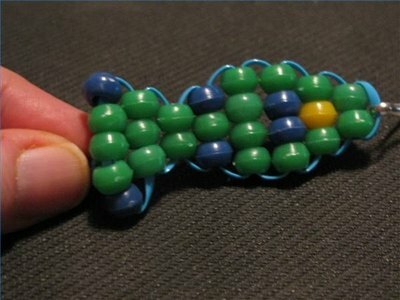 A fish key chain is an ideal craft for you or your child to make as a gift for a fisherman. The flat fish is made with cording and round beads. Use craft lace, monofilament or three-strand thread cording (such as embroidery floss) to make a durable key chain. The key chain is lightweight and can be made with any color round or pony bead. 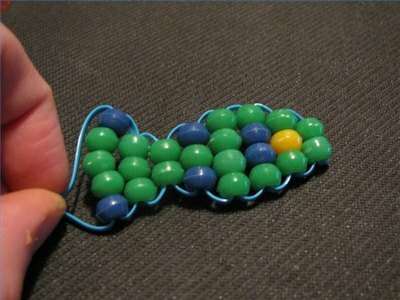 You can make a more intricate fish with smaller beads by doubling the count of beads in a row. 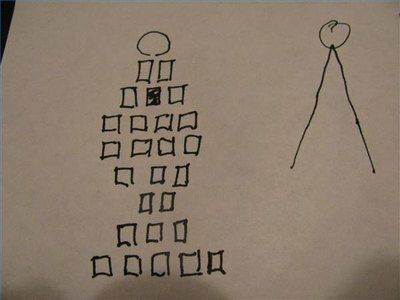 Sketch a series of squares to form a shape of a fish starting with two beads at the top (refer to photo). Cut a 30-inch piece of cording. Thread through key ring and let each half hang evenly as shown in the drawing. Thread two beads on the left hand side of the cord. 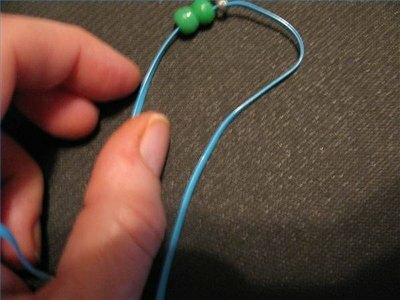 Slip the end of the left hand cord through the same two beads. Pull tightly and make sure the two sides of remaining cord are even. Add three beads with the colored eye bead in the center. 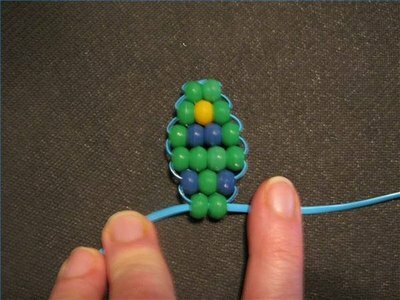 Repeat the process of placing each cord through the beads as you did in Step 3. 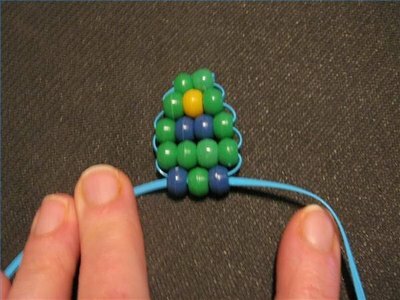 Do this for each row of beads that follow. 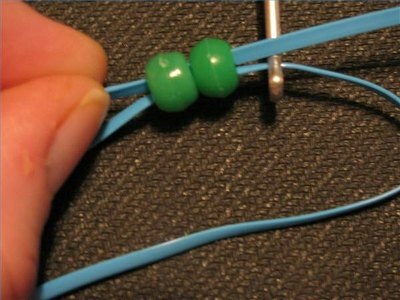 Add four beads and pull the cording tight. 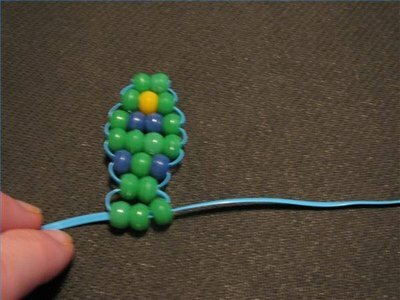 Add four beads to the next row and follow it with a three-bead row. Pull tightly after threading the second cord through. Thread two beads on to the cord for the beginning of the tail area. 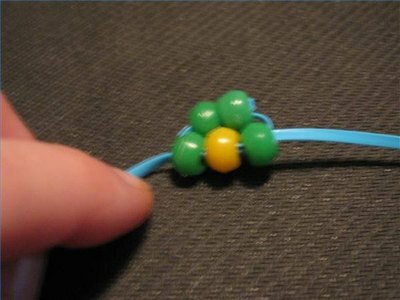 Add three beads and secure with the cord. Complete the last row of beads by adding the final five beads. Secure with the cording. 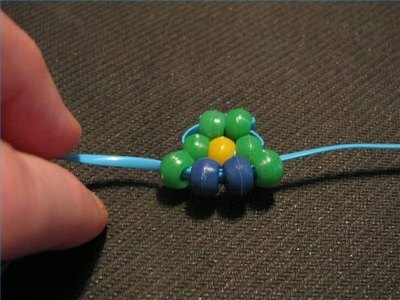 Tie a very tight double knot in the center of the outside of the last row of beads. Cut the cord.